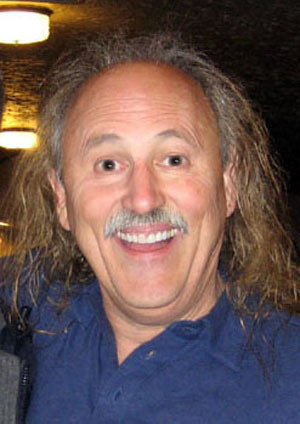 Comedian Gallagher was rushed to a Texas hospital earlier this week after a heart attack, just a year after a similar incident at the Minnesota club. Is it time for the jokester to slow down? Who knew that smashing watermelons on dozens of waiting fans was such an intense physical exercise? Gallagher, the comedian known for his love of melons, is “slowly recovering” after suffering a heart attack outside a Texas club. “We will not know the outcome until sometime tomorrow,” his manager, Christine Scherrer, said in a statement. Gallagher, real name Leo Anthony Gallagher, also collapsed a year ago during a show in Rochester, Minnesota. He left the stage for a short time and then returned. “He started to feel better, and tried to finish,” his manager said at the time. The aging comedian has garnered criticism in recent years for his homophobic and sometimes racist routines. A reporter for TheStranger.com was following him for a profile when he went into a gay rant during a 2010 show. He also berated President Obama and the late Senator Ted Kennedy during the same set. You get the idea. Maybe if he relaxed a little bit, he wouldn’t have so many heart problems? Just a thought. Regardless, we hope he gets better and back to melon smashing in a jiffy.